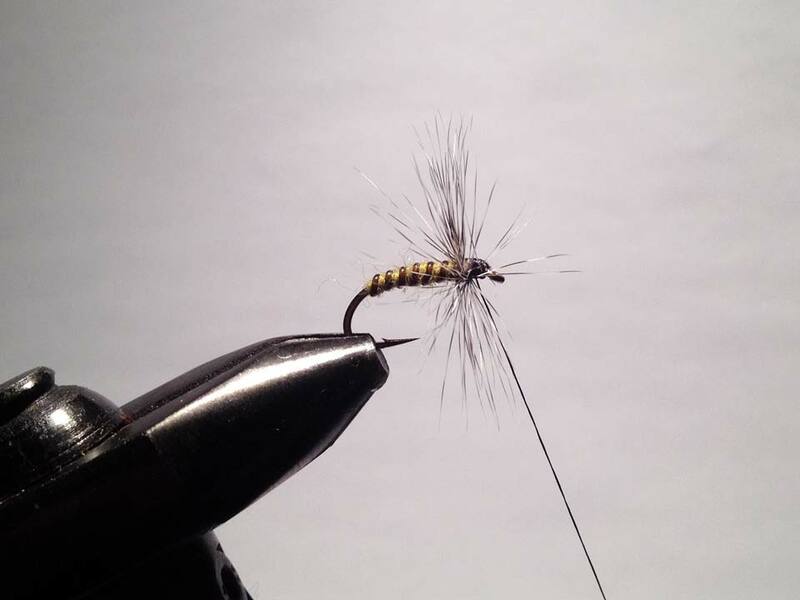 This Olive Grizzly dry fly is a pattern I created based on a pattern I found over on FlyTyingForum.com. I modified the colors to match the material I had on hand. 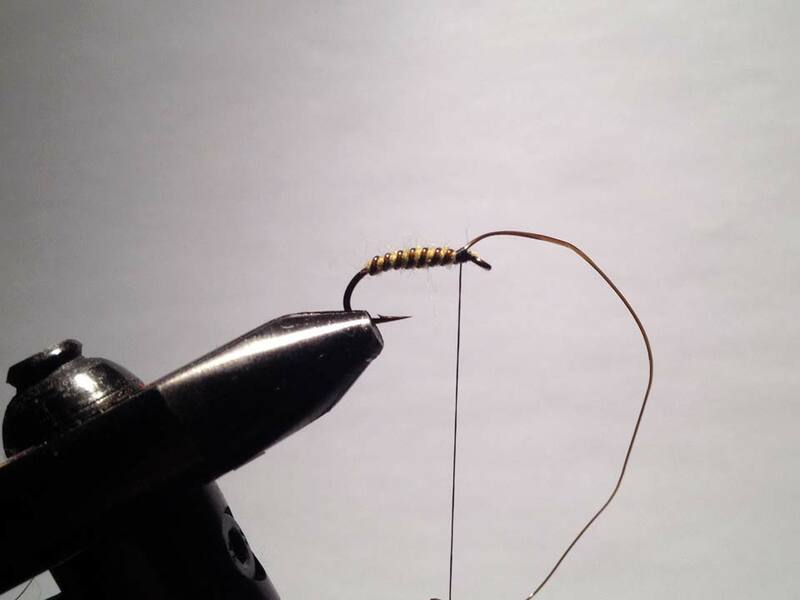 The image shows the pattern in both size 12 and size 16. 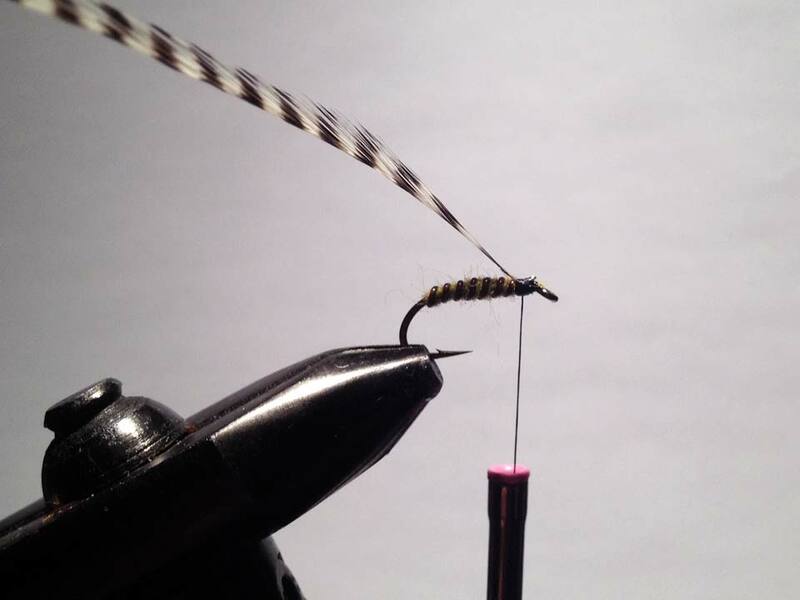 I tye this with both black and chartreuse thread to suit the lighting on the water. 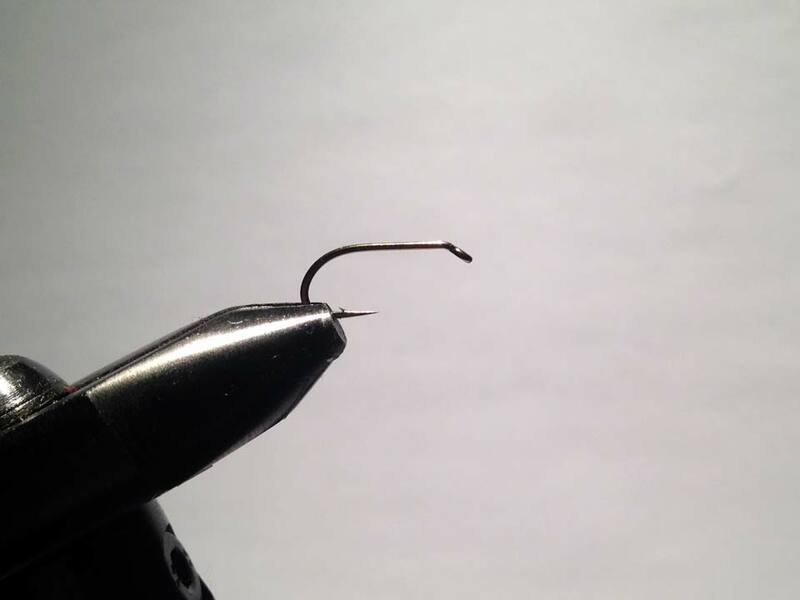 Hook being used is a Mustad Nymph Sproat in size 12. I tye this down to a 16 as well. Tie on the Uni thread 6/0 (black in this series). Leave a space behind the eye so you have room to build the head after. 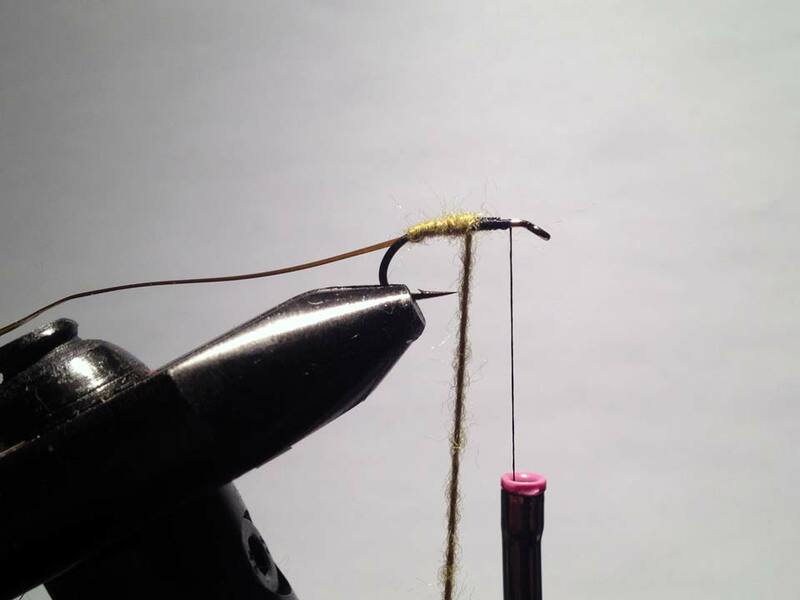 Tie on the vinyl rib with 5 or 6 wraps starting near the front of the hook. You want the rib to give the body a bit of bulk. 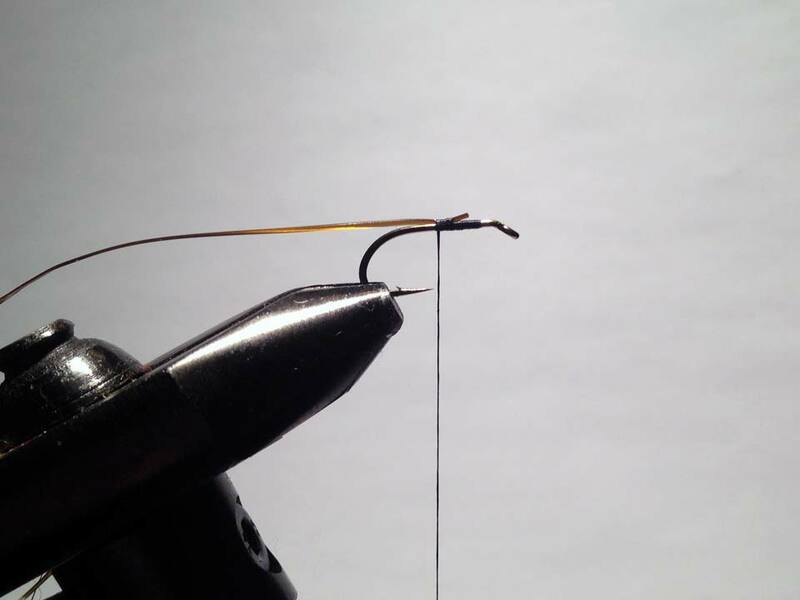 With the rib tied on you can now tie on the uni thread and then use thread wraps to tie both to the back of the hook. 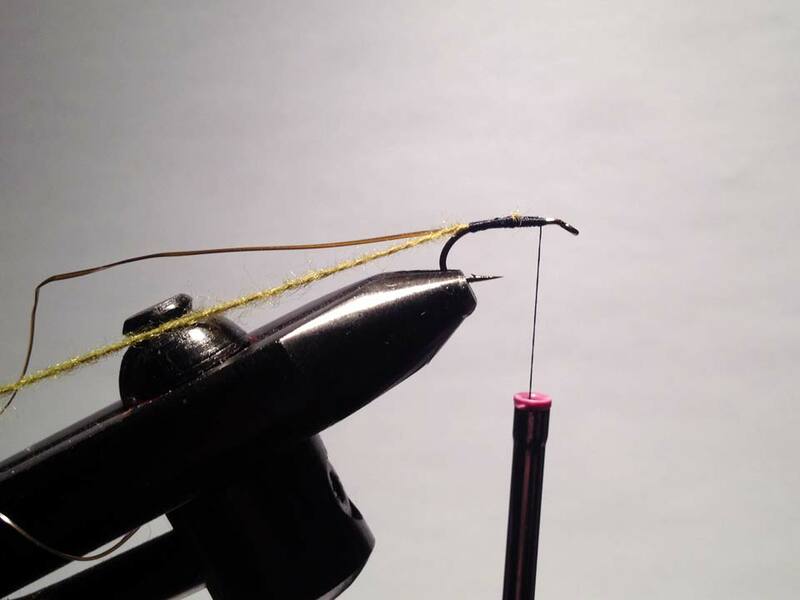 Bring your thread back to the eye of the hook in preparation for wrapping the yarn body. Wrap the yarn up the hook creating a nice body. Tie off the yarn and clip. Finish wrapping the yarn up to an eye’s length from the eye and tie off. Start to wrap the vinyl rib along the body keeping the spacing even. 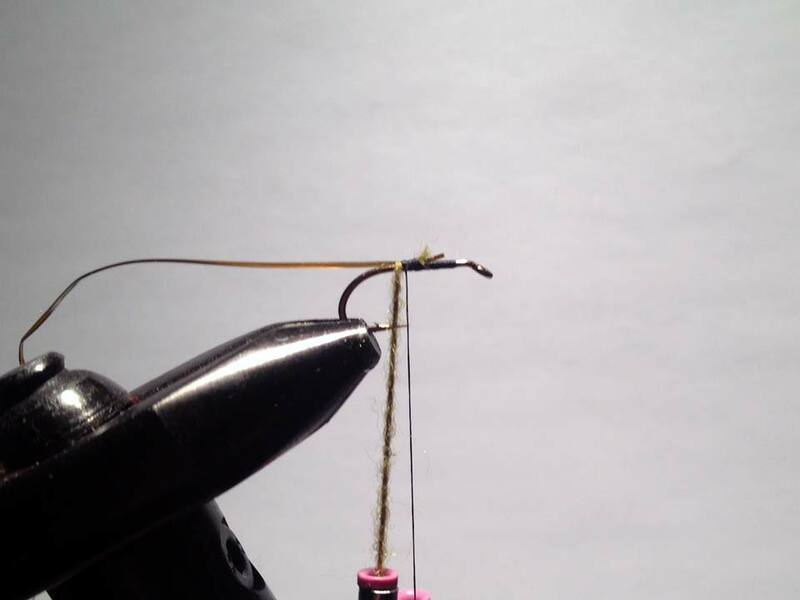 Tie off the vinyl rib and clip it off. 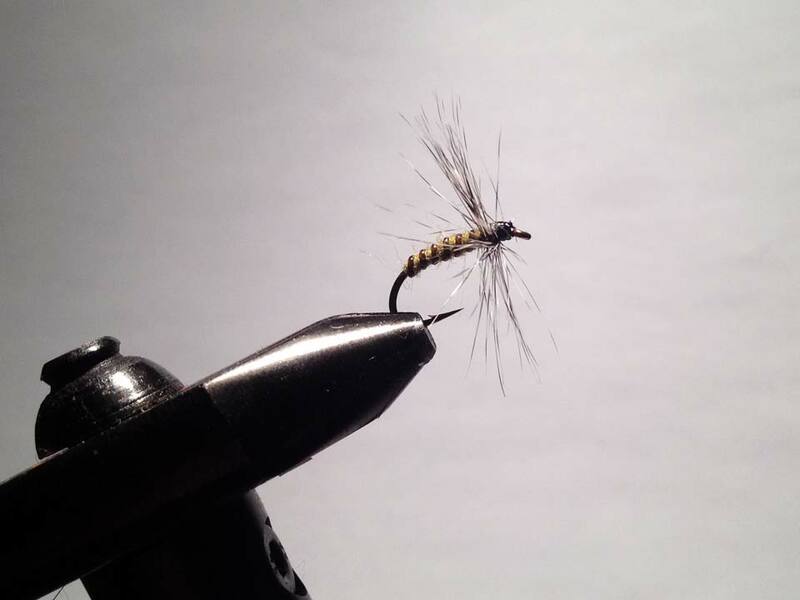 A rooster saddle hackle feather. 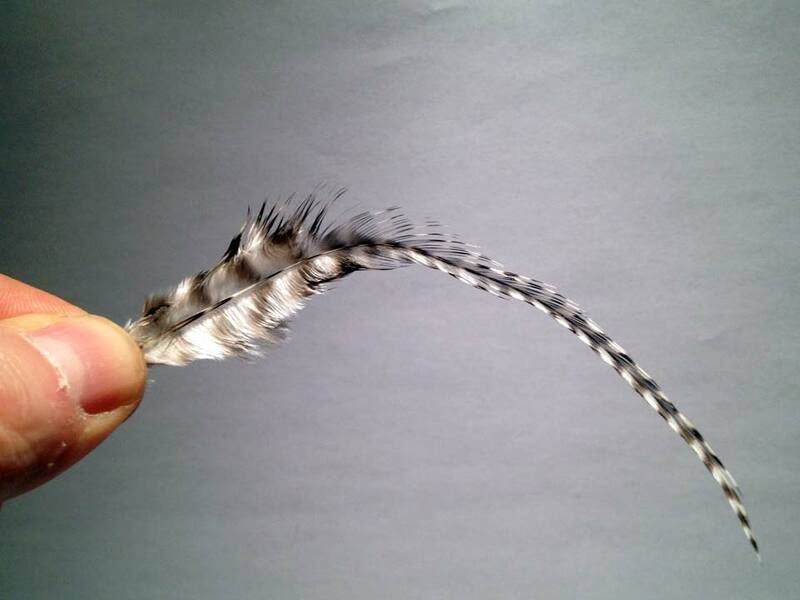 We will only need the narrow part of the feather. 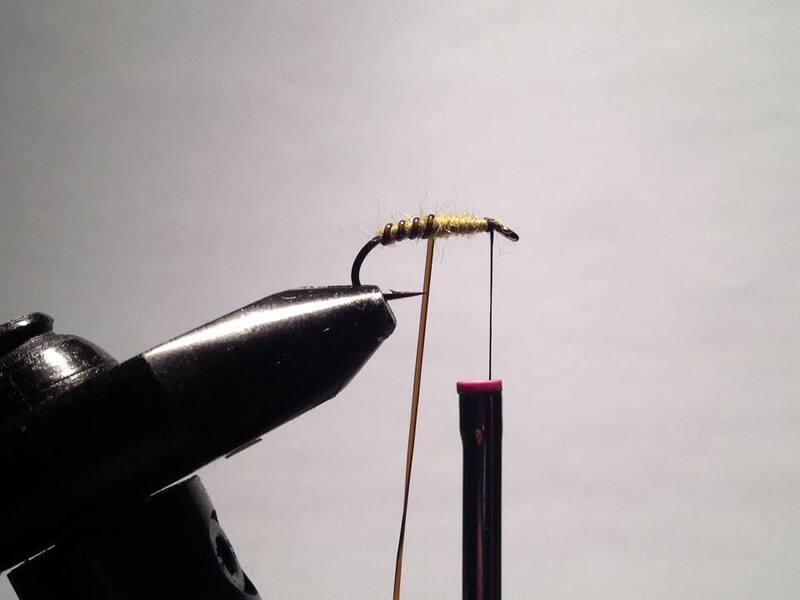 Strip off 4 or 5 fibers at the base of the feather and tie the feather on using 5 or 6 thread wraps. 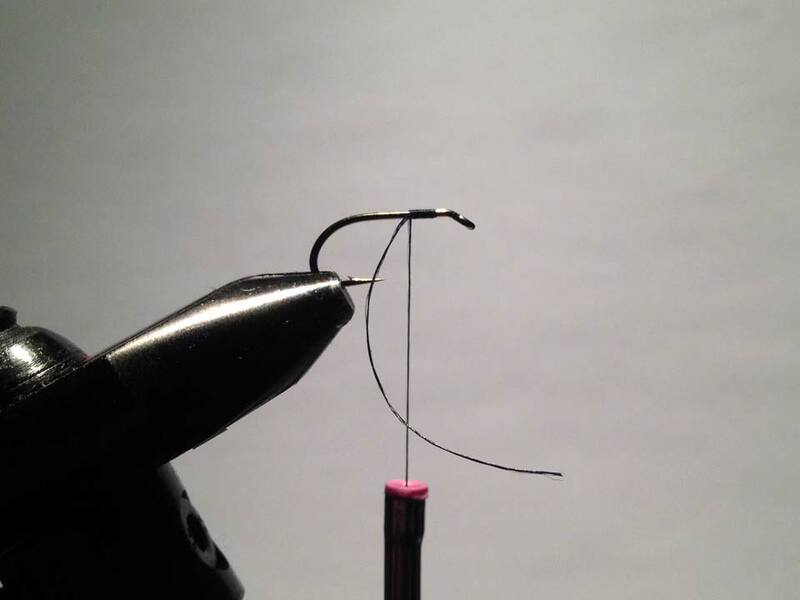 Attach a hackle plier and start to wrap the feather around the hook leaving some space between the feather and the eye of the hook. 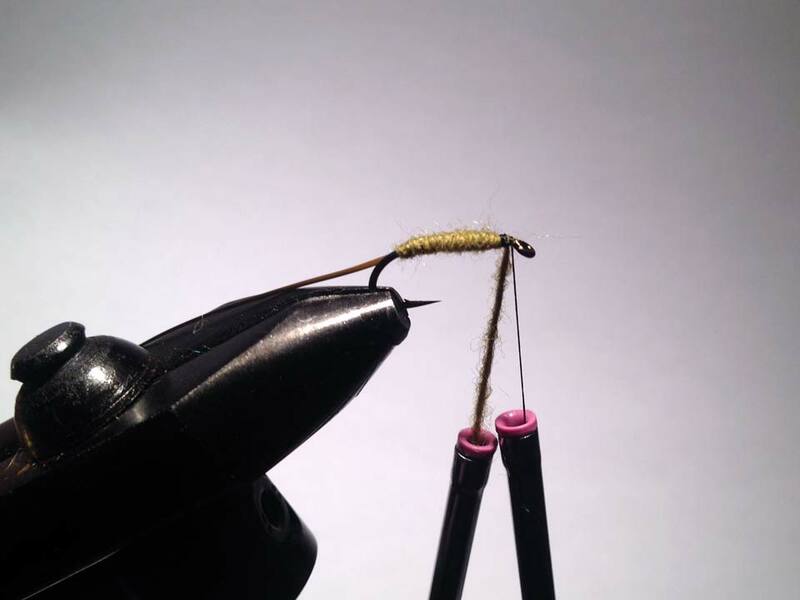 Once you have 3 – 5 wraps of the hackle you can tie it off and clip the excess off. Whip finish the head and add a drop of lacquer or head cement. 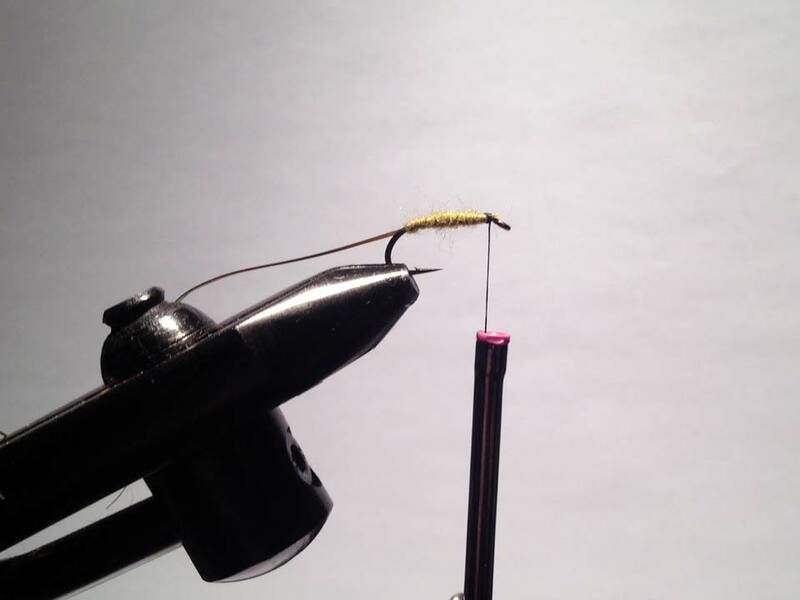 Take care to pull the hackle back when add the lacquer so it does not wick up the fibers. The finished product. 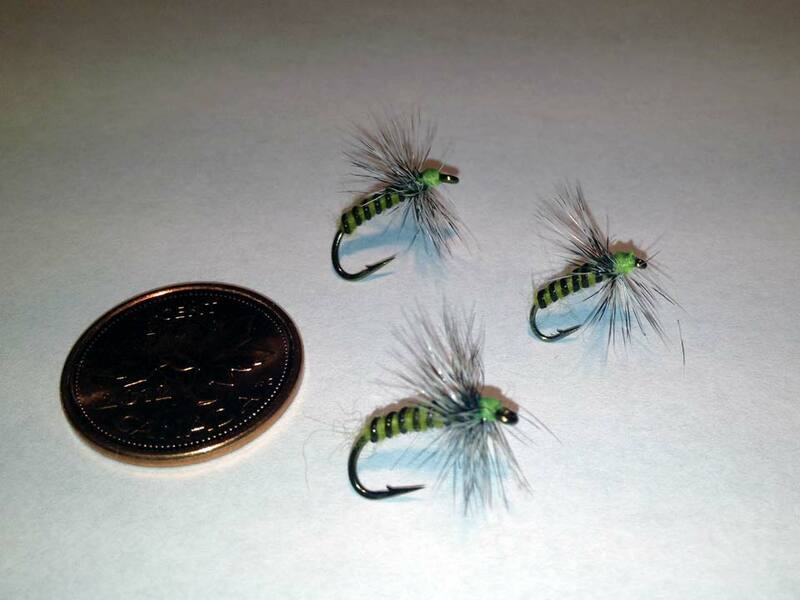 These ones were tied using chartreuse thread. There are 2 size 12’s on the left with one size 16 on the right. A penny added to give you an idea of the size.